Is it nepotism, or a smart hire? | What is nepotism? 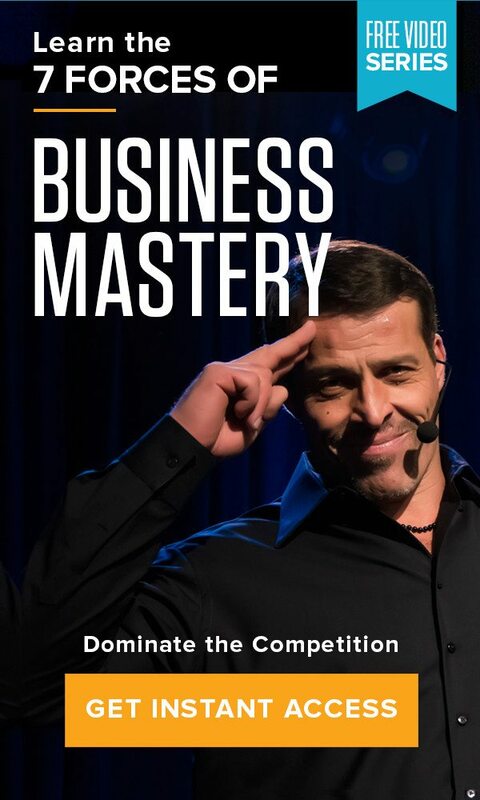 Home » The Tony Robbins Blog » Career & Business » Is it nepotism, or a smart hire? Is it nepotism, or a smart hire? Nepotism is the practice of showing preference toward family or friends, and often rears its head in the workplace when a higher-up at a company selects someone they know for a new position or promotion. Many people tend to cringe when we hear the word nepotism. Images of the unqualified and undeserving come to mind; they imagine children or nephews landing in well-paid jobs and promptly taking advantage of their position, taking much, giving little and generally poisoning company culture. Despite this negative connotation, nepotism stands as a common practice in business and life. It occurs frequently in large corporations, non-profit organizations and small businesses. It’s a common hiring practice that’s not discussed enough, and it can actually help create a stronger, more sustainable business model in the long run – if it’s done right. Hiring family members is often an appealing thought. You’re aware of their weaknesses and strengths, as well as their potential – particularly when compared to candidates you’ve never met. Odds are you already know whether you can rely on them when it comes to sensitive information and confidential aspects of your business. Families often share values and belief systems, which translates easily to sharing a company mission statement. The family member may already be well-acquainted with the business, leading to reduced training time and expenses when they’re brought onboard. They also likely have a vested interest in seeing you and your business succeed – after all, they’re family. It doesn’t matter what sort of job qualifications the person you hire possesses – people tend to believe that favoritism is at play whenever a relative is hired. The whispers of “nepotism” frequently get louder when it comes to hiring for upper management and director positions. If the top rung is always reserved for those with a certain name, then there’s no ladder to climb, and otherwise, excellent employees may lose heart if they perceive their chances at an eventual promotion are dashed. This sort of situation can start a ripple effect of resentment and frustration throughout the company, impacting the performance of other employees. Nepotism is often viewed in an unfavorable light because there are indeed situations where a family member, despite being vouched for, did not meet expectations. The promoted individual might have the appropriate skill set and some experience, but that isn’t a guarantee they will excel in the position. This happens every day in the workplace – people just don’t work out in particular roles – but when you’re hiring family members, the person’s failures are quickly tied to their connections. When a family member isn’t working out well in a role, you’ll face frustration from your other employees and from the person you promoted. You want to create an internal raving fan culture from your employees, not one of resentment. You can’t control how your other employees view nepotism, but you can build a process around the way you hire family members. It will probably look quite similar to the way you screen non-related candidates, and it’s based around ensuring they’re the right fit. Do your relative’s passions align with your company’s mission? Will the position they fill leverage their skills and interests? Have them take the DISC profile assessment to better understand what drives and ultimately fulfills them. The discussion should be a two-way street, with both of you striving to figure out if this is a decision that will benefit everyone involved. Personality is key when bringing someone into your business. You’re already at an advantage because you know your family member closely. While there must be a reasonable level of technical skill, it’s the soft skills – interpersonal skills, communication skills, thought processes and emotional intelligence – that can really make or break your hiring decisions. Hiring a relative whose behavior and values oppose yours and those of your company risks eroding your brand and destroying morale. Core values are what a company stands for; they’re derived from your brand’s ultimate purpose. They are your company’s creed and culture and what every employee – including those you are related to – should embody. Before hiring a relative, be clear as to what your core values are and what will be expected of him or her. The smaller your organization, the more important it is that you define how these core values should be manifested for that particular position. While nothing explicitly prohibits you from hiring a relative, you may be crossing the line if you advertise a job opening and then offer the position to a family member who is less qualified than a candidate applying through more traditional means. When hiring a relative, you are also required to disclose any potential conflict of interest to shareholders. Failure to make that information known could violate Sarbanes-Oxley. If you do end up hiring your relative, it will be up to you to hold them accountable and ensure that the standards and expectations you set are not just met, but exceeded. A high-performing family member who is held to the same standards as the rest of the employees will gradually be accepted as a valued coworker, not just the daughter or nephew or cousin of the boss. This, in turn, can create a positive change throughout the company, as higher performance becomes the new status quo. Whenever you hire someone, be it a family member, friend or total stranger, take the time to really make sure they’re a good fit for your brand. Maintaining a supportive, healthy company culture is critical to the happiness of your team and the success of your business at large.